Designed to run TV, DVD, Tools, Blender, Computer & More! Inverter Package 1000-watts - You can now bring your laptop, TV, DVD player, or even your favorite juicer or blender on your next adventure! 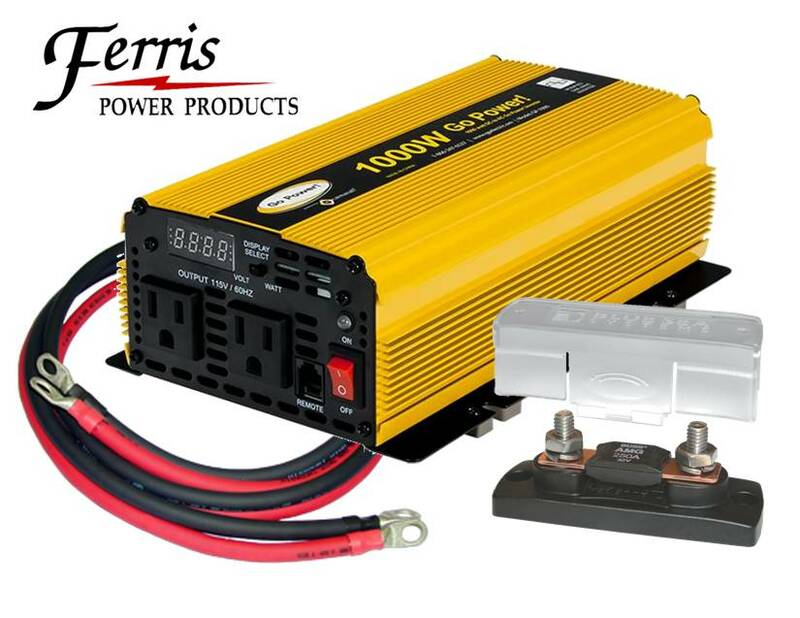 This package includes a heavy duty Go-Power modified sinewave inverter with a built in on/off switch, LCD battery monitor, and low voltage alarm. We've also included our 5' marine rated inverter cable set, mega fuse block and 100A safety fuse with this package. Everything needed to power your AC electronics off the grid using your 12V DC battery bank.